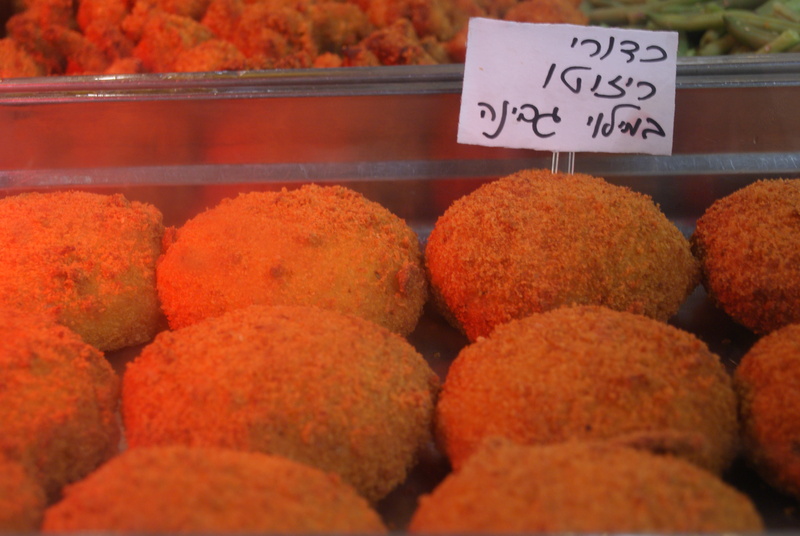 I am going to take you on a little eating tour of Israeli food. 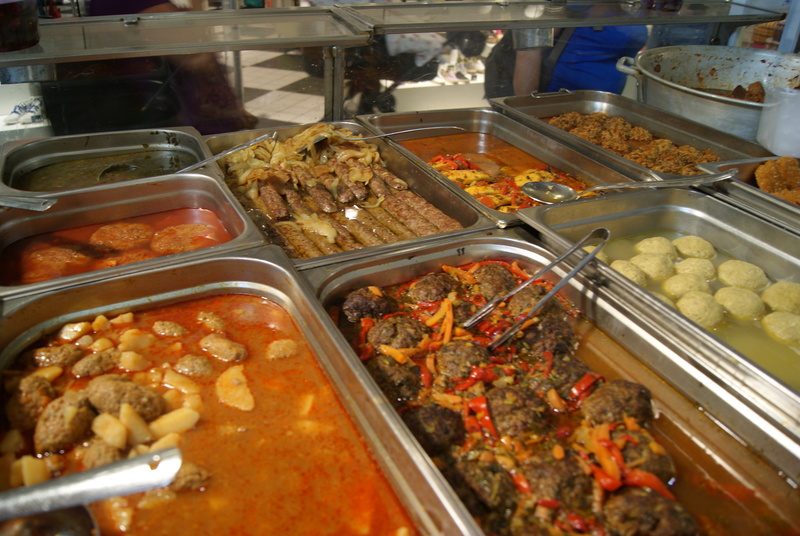 In Israel, instead of food trucks, some of the malls are packed with stations with mommas and pappas (Imas and Abas in Hebrew) serving you home cooked Israeli food. Israeli food is a lot more diverse than it gets credit for. It is more than just another Felafel or Shawarma. It’s Moroccan food. It’s Russian Food. It’s Italian food. It’s a mix of everything. It has influences from Spain, Tunisia, Iraq, Iran, Poland, Russia, Yemen and everywhere else you can think of. 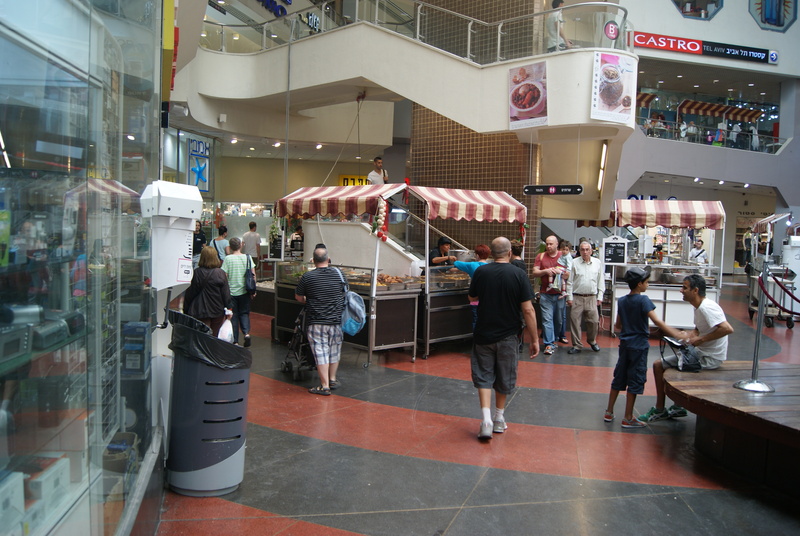 Dizengoff center, a mall in the center of bustling Tel Aviv is packed to the gills Friday mornings with families and singles trying to get some home cooked food to start off the weekend. The crowd is a mix of everything; from people walking around with their bikes, to hipsters, to the fanciest strollers you can think of to very cute grannies who have lived in Tel Aviv forever. This is good ol’ Ashkenazi food. This place called Goldie and Adi. This is the Ashkenazi version of Chullent. It is basically a stew that is put in the oven on Friday morning and cooks all through Saturday (the Shabbat). 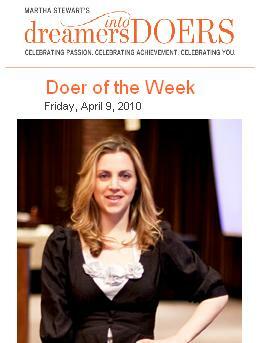 As religious Jews don’t turn on the oven on the weekend, this is a hot dish that stays in the warm oven. 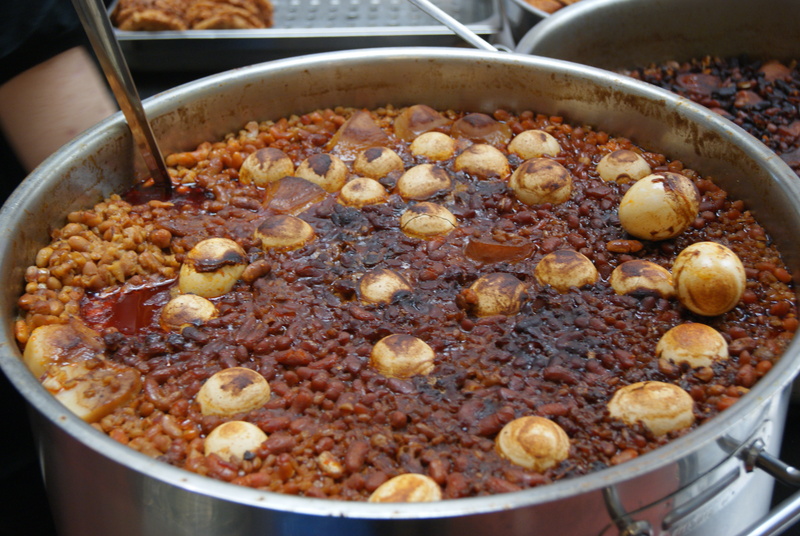 The dish consists of potatoes, eggs, beans, barley and meat. 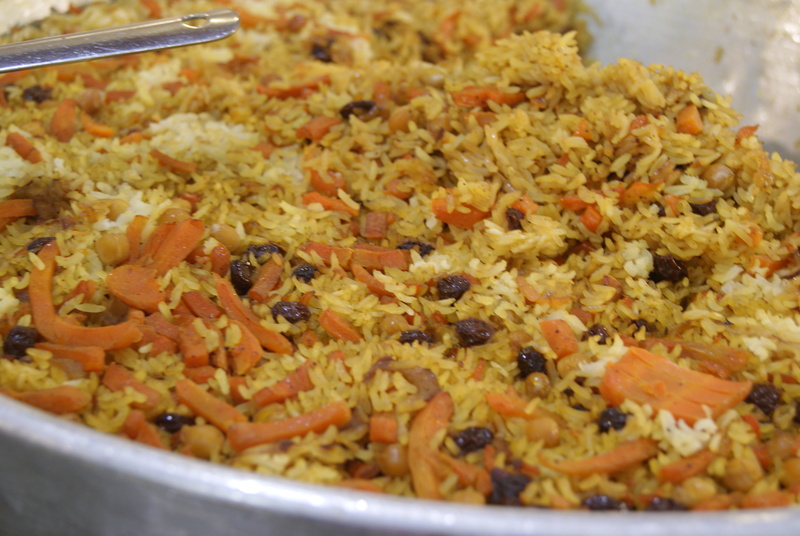 There are many different ways to make Chullent. Sephardic Jews have different versions but it all comes down to the one concept- a one pot meal. Here are Italian Arancini, fried rice balls, these ones are filled with cheese. 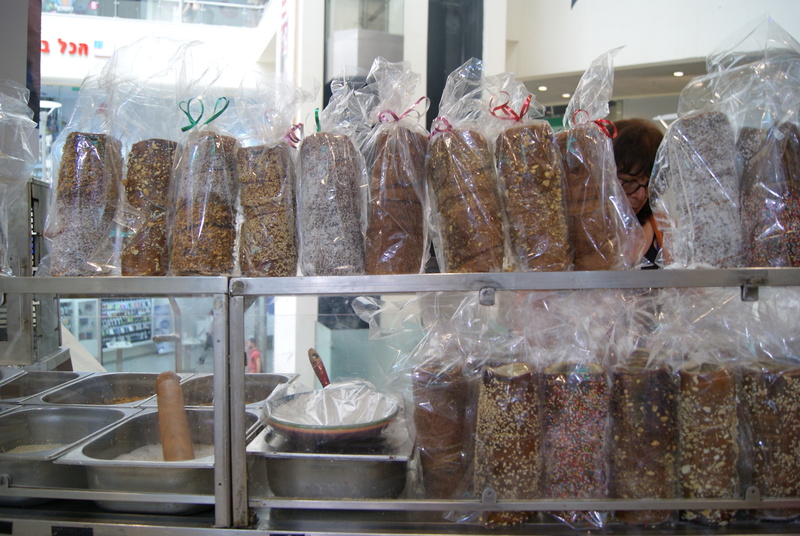 These are Hungarian Cakes called Kurtos Kalas also known as Chimney Cakes. These spiced and sweet cakes are baked on a tapered cylindrical spit over an open fire and covered with nuts. The next stop is Persian Food. They have many different kinds of rice. The one here has chickpeas, raisins and carrots. Then there is Ghondi. 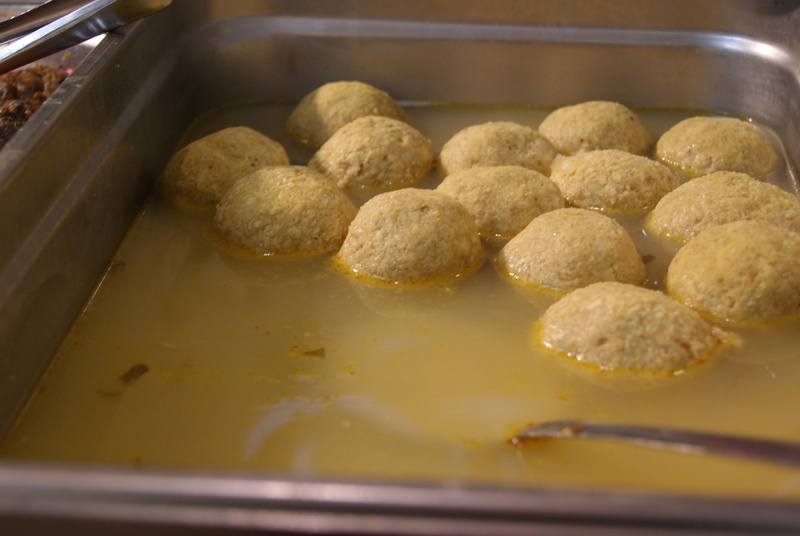 Every Jewish Persian house serves these chicken or lamb meatballs, especially served on Shabat (the Sabbath). This is because back in the day, ground chicken or lamb meat was expensive so it was a once a week kind of treat. The meatballs are made up of meat, ground chickpeas and ground cardamon. 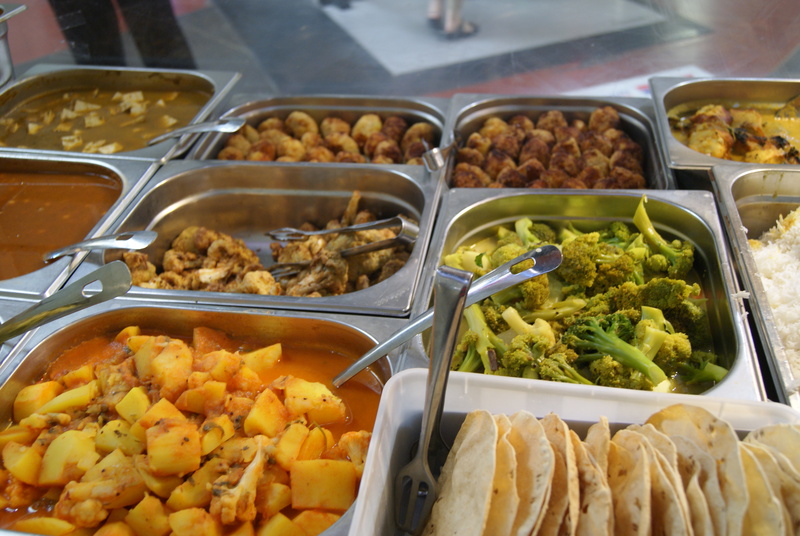 Indian restaurants are hard to come by in Israel so finding Indian food here really made my day. 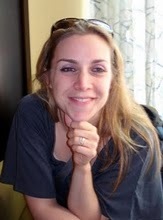 By the way, if you are interested in learning more about Israeli Indian food, check out my friend Shula’s blog. 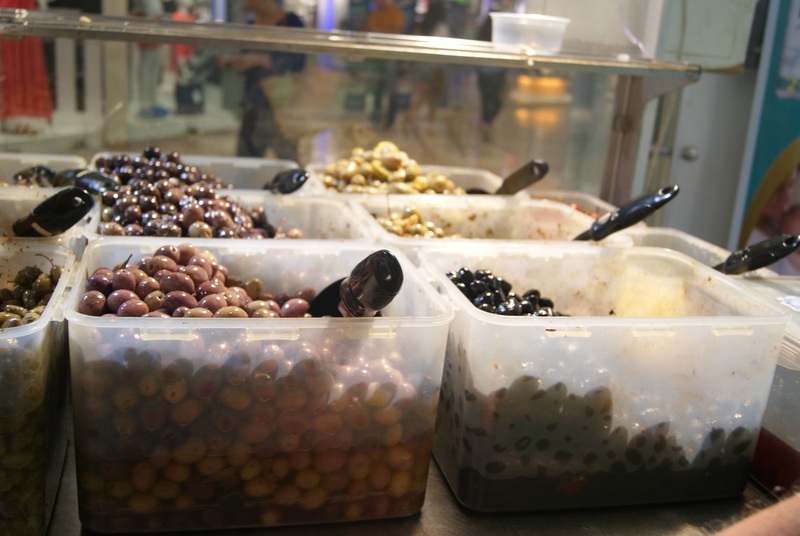 Every Mediteareanen meal should have olives, these are beautiful. 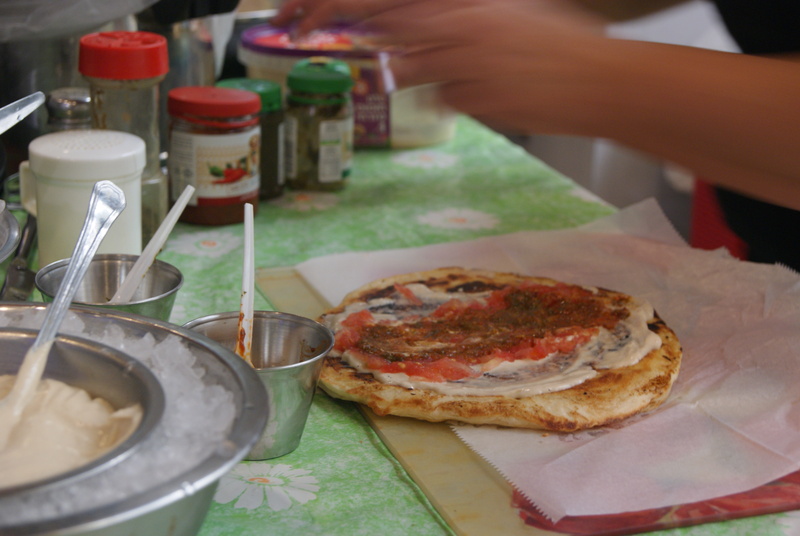 Yemenite Jews are known for some of the most popular Israeli foods, all being especially indulgent. This is Mallawach. It is a huge pancake, made of puff pastry, brushed with lots of oil and cooked flat in a frying pan. It is traditionally served with grated tomatoes and Shug, a spicey hot condiment. Here it is layered with hummus and the grated tomato sauce. Arepas are a favorite of mine. Nothing is Israeli about them but I have a dear Seattle friend from Venezuela who says Arrrrrrepa (rolling the r) in the sexiest way possible and since then I fell in love with them (thanks Valentina). I also love getting them at the Farmer’s Market every Thursday in Queen Anne, Seattle. 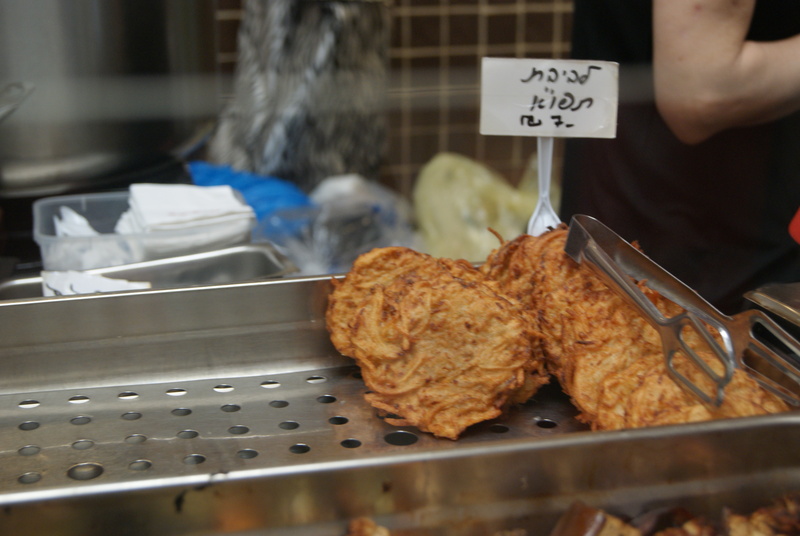 They gained popularity in the last few months in Israel since a Masterchef contestant made them on the show. 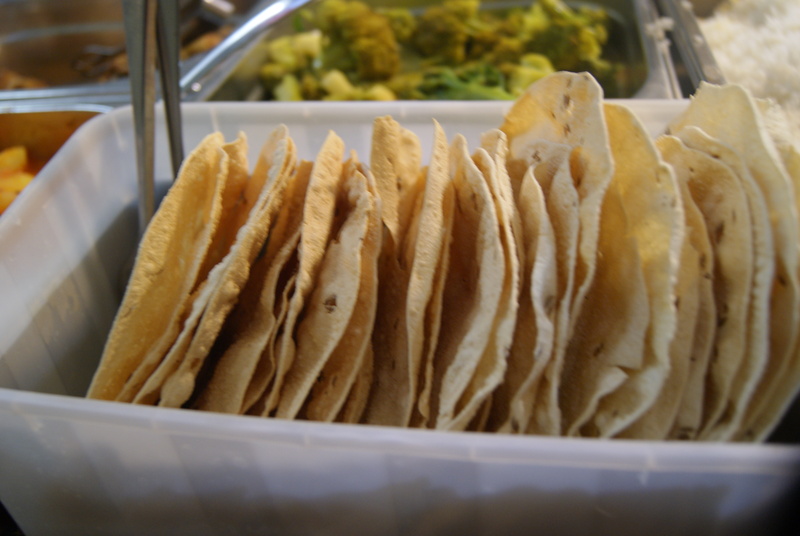 Until you have had one, it is hard to imagine the taste; a cross between a pancake and a tortilla. The exterior is crisp and the inside is soft. 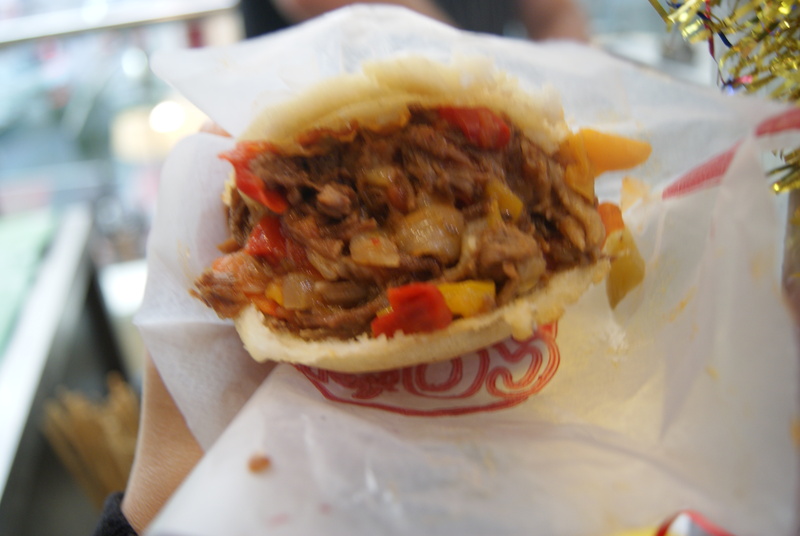 The ones here are filled with fried beef and vegetables and a secret sauce. There are many other booths and restaurants which I will try to cover in a future post. This food fest is open Thursday afternoons from 4 pm until 10 pm and Fridays from 10:30 AM-4 pm. Come early and avoid the crowds.The same mall has a nice little kids area for free and a kids play gym with an entrance fee. On Fridays, there is a fashion sale where local designers sell clothes at lower prices. This is definitely a mall to explore. 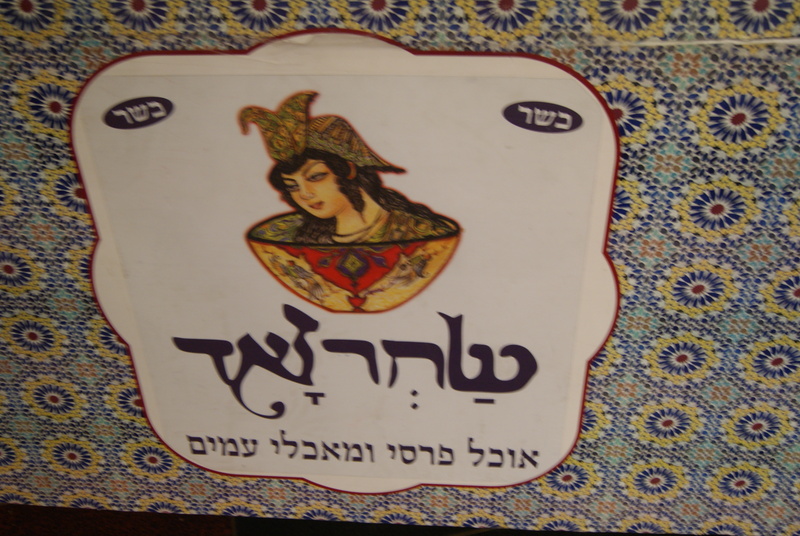 Keren, I really wish I could come to Israel and try some of these lovely sounding foods – they sound amazing!